As you may or may not know, last month we celebrated the middle Feast, which goes by the name Shavuot. As Christians we often refer to this as the Feast of Pentecost. During my study time, I was impressed with some of the potential applications that could fall within the realm of this unique feast. There are seven Feasts of Moses, and they can be divided into three categories. The first are the Spring Feasts, which include: Pesach (Passover), Unleavened Bread and First Fruits. As believers in Yeshua as being the Christ, we see Jesus’ first coming as the fulfillment of each of these feasts. He alone is our Pass-over Lamb, the only One who is sinless, as well as being the First Fruits of the resurrection of the dead. The last three feasts are in the fall and include the Feast of Trumpets, Yom Kippur and the Succoth (Feast of Tabernacles). 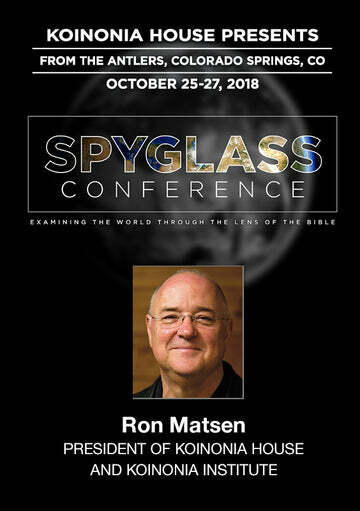 Now the reason that many prophecy buffs get their antennas up in the fall each year is because we believe that all of the Fall Feasts will have their fulfillment at the Second Coming of the Messiah. Of the seven feasts, there are three that required compulsory attendance. The first was from the spring (Feast of Unleavened Bread); another from the fall (Feast of Succoth), while the other one was the feast that falls about in the middle and that was the unique feast that goes by the name of Shavuot. At its base, Shavuot is a feast deep with agricultural meaning. This was the time for the harvest—not just the barley but all seven of the fruits of the Land. The seven fruits of the Land are: barley, wheat, grapes, figs, dates, pomegranates and olives. At Shavuot all of these would be included in the offering of the first fruits. 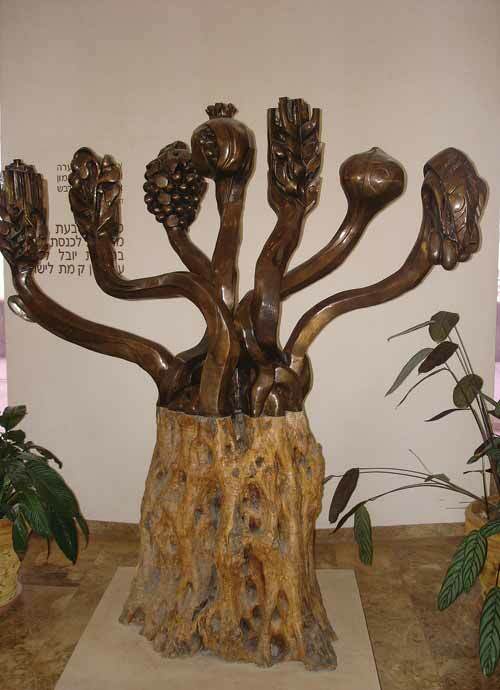 The picture on the right is the Fruit and Grain Menorah that is inside the Knesset. In the Scriptures, leaven is constantly used as an idiom for sin and is strictly forbidden in regards to offerings laid upon the holy altar of YHVH. Some scholars see Pesach as the start of a process and Shavuot as the end. On Pesach, we remove all leaven and eat only unleavened bread. On Shavuot, we bring loaves of leaven. One begins with the bread of affliction while the other ends with the bread of heaven. Also noteworthy is the fact that there are two loaves—do these loaves represent Jew and Gentile and the gift of the Holy Spirit, as prophesied by Joel, making the two one in Christ, who is the Bread of Life? •	Shavuot is the time to commemorate the giving of the Torah at Mount Sinai and marking the day when God entered into covenant (or married) the Jewish nation. •	In the Jewish tradition, Shavuot is compared to a wedding, for it was on Shavuot that the covenant between God and the Jewish People was sealed at Mount Sinai. The church is called Kallat Mashiach—the Bride of Messiah (Rev 21:2, 9), and we eagerly await the marriage supper to come (Rev 19:9). •	Shavuot at Mt. Sinai is sometimes considered the day on which Judaism was born. •	Shavuot in Jerusalem (Mount Zion) is the day on which the Church was born. Remember it was on Mount Sinai that the Ten Commandments were written on tablets of stone by the “finger of God” (Ex 31:18), but at Mount Zion, the Torah is written on tablets of the heart by the Spirit of God (2 Cor 3:3; Heb 8:10). It is also noteworthy to point out that on Shavuot, the Book of Ruth is read in all the local synagogues—again, presenting a picture of God’s provision and the marriage of Jew and Gentile, which includes the genealogical line of not only David but of Christ. And it is in Christ that the dividing wall between Jew and Gentile is abolished! In summary, it is easy to see Passover as symbolizing death, Unleavened Bread as the call to sinless living, First Fruits as depicting the resurrection of Christ, and Shavuot as the harvest of believers. Also, in Jewish homes this is a time for all sorts of greenery and flowers with lots of fruit and, of course, honey. Shavuot marked a time for remembering, giving and rejoicing. In regards to giving, the Torah commanded that no man should come “empty-handed.” This feast provides us a time to refocus on our own freewill offerings and tithes. This should be a time to replace the meat in the storehouse. If the Father has provided you the resources to be spiritually fed this year, then make sure you give back at least a portion of your offerings to those storehouses that have fed you (see Jn 4:32-34). This means that wherever you have been gleaning nourishing truth, take your gifts to that storehouse and help replenish that supply, so that others can find like nourishment. We must be cautious that we do not lay our offerings on “un-clean altars!” I am always reminded of a quip from Chuck Missler that there are a lot of ministries that the Lord would like to shut down but we keep giving (blindly) to them. Be sure that you are a good steward of your tithe! Finally, this is also a time to present to God the fruit of one’s ministry. Shavuot can also be a good time for us to reflect back on the year and take the time to inspect the condition within the vineyard of our lives. Re-member, we were saved for a purpose and that purpose is to pro-duce fruit for the Kingdom. With that in mind, I thought I would conclude this article with presenting a list of those who have been awarded Medallions in the orchard of KI. We are grateful for the following members that have labored in our fields and have partnered with us and have completed the requirements to earn their Bronze, Silver, or Gold Medallion. If you have received your Bronze, Silver or Gold Medallion and are not listed here, please contact our Registrar (pat@khouse.org) so we can keep our lists accurate.